Those of you who waited to purchase your tickets to see a power couple from the last century are in luck. Prices for some of the tickets have been sliced by 90% or more. When the tour was announced two months ago, the cheapest seats were $70. 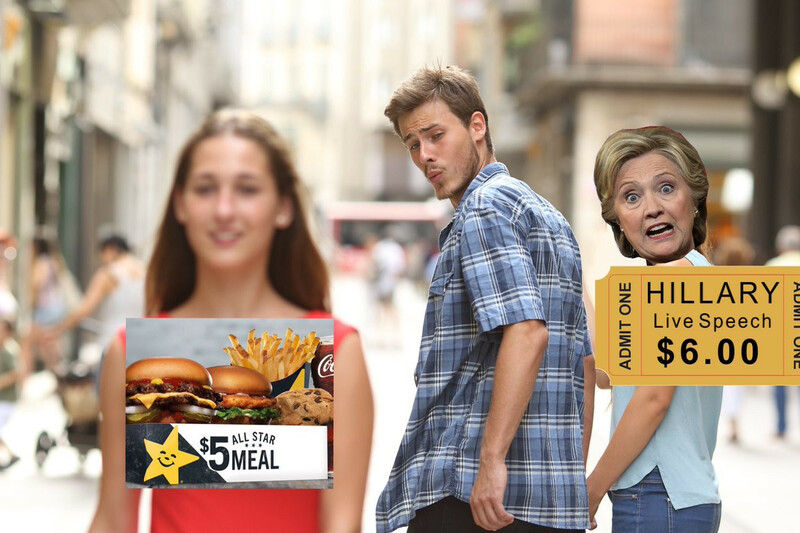 Now, $6 gets you in. Don links to the site vividseats.com, selling tickets for tomorrow's Bill and Hillary Clinton stadium tour event at Smart Financial Centre in Sugarland, Texas, a suburb of Houston in Fort Bend County. The seating capacity of the municipally owned theatre is 6,400. Obviously, the humiliation of facing a crowd in Toronto last week that filled fewer than 17% of the seats in the giant hockey-basketball arena was more than the Clintons could bear. Even with a theater about one third as big, the danger of a sea of empty seats was so big that drastic markdowns were necessary. Everyone who paid the original prices is now officially a sucker. ... the opportunity to hear one-of-a-kind conversations with the two leaders as they tell their stories from some of the most impactful moments in modern history. From the American presidency to the halls of the Senate and State Department, to one of the United States' most controversial and unpredictable presidential elections, they provide a unique perspective on the past, and remarkable insight into where we go from here. I guess it seemed like a good idea at the time. But the first stop on the tour, in Las Vegas, was canceled with no explanation, leading to the possible inference that advance sales were so bad that cancelation was less expensive than presenting it. Live Nation is a publicly held New York Stock Exchange-listed company with more than ten billion dollars in revenue last year, so it can afford to take a big loss on the Clintons without it even showing up as "material" in required SEC disclosures. We are unlikely to ever find out how big a disaster the tour turns out to be. But 90% off tells us a lot. The old saying for those selling perishable commodities – those that become unsaleable after a certain moment in time, such as airline or concert tickets – is derived from fish-mongers: "Sell it or smell it." With the Clintons, the unpleasant odor of corruption and lies is already present. I wonder if they're getting the message yet. Claims are it's been canceled. But that might be old news when it was on-again-off-again-on-again-off-again-on-again. I've also seen claims that some tickets were as low as $1.99. One person wrote (probably baloney) they wanted to buy all of the tickets (for a show that was since canceled) and not show up. The last book is below giveaway prices. Nobody wants to get them for speeches any more. And they can't even get small crowds to show up and listen to them whine at discount prices. Normal people would call it quits. She still is claiming she wants to run again.